The management of organizational behavior is a critically important source of competitive advantage in today’s organizations. Every organization’s members share a constellation of skills, abilities, and motivations that differentiates it from every other firm. To gain advantage, managers must be able to capitalize on these individual differences as jobs are designed, teams are formed, work is structured, and change is facilitated. This textbook, nowin its second edition,provides its readers with the knowledge required to succeed as managers under these circumstances. 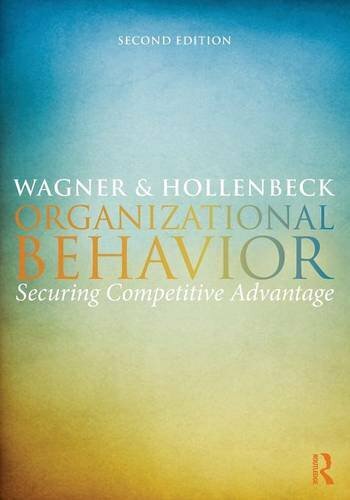 The ideal book for undergraduate and graduate students of organizational behavior, Organizational Behavior: Securing Competitive Advantage is written to motivate exceptional student performance and contributeto theirlasting managerial success.